Stocks in Cyprus Are Down 98%—Time to Start Edging In? Readers who have been with us for a while know that I've been hinting at the project Doug Casey and I have been working on in Cyprus for a while now. It's a project that dovetails perfectly with Doug's unique expertise. Now is the time to reveal what we have been up to. Nick Giambruno: Doug, you are one of the foremost authorities in the world on the topic of crisis investing. Tell us about your background on this topic and the potential for life-changing gains it offers for those who have the intestinal fortitude to speculate in crisis markets. 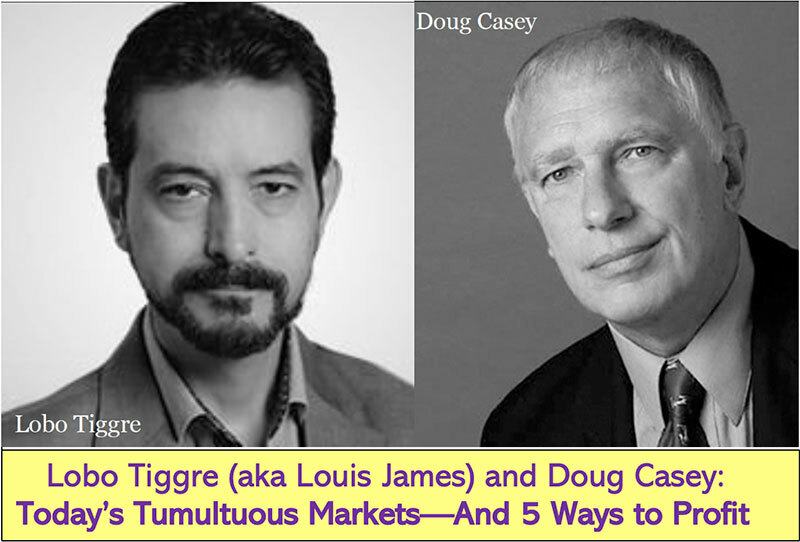 Doug Casey: After my second book, Crisis Investing, came out in 1979, I started publishing a newsletter. I used the Chinese symbol for crisis as the logo. It is actually a combination of two symbols: the symbol for danger and the symbol for opportunity. The danger is what everybody sees; the opportunity is never quite so obvious as the danger, but it's always there. It is true, as a general rule, that you want to “make the trend your friend.” But there always comes an inflection point when trends change because a market becomes either greatly overvalued or greatly undervalued. And when any market is down by 90% or more, you've got to reflexively look at it, no matter how bad the news is, and see if it's a place where you want to put some speculative capital. Nick: Massive fortunes have been made throughout history with crisis investing. Was Baron Rothschild right when he said the time to buy is when blood is in the streets? Doug: That's a very famous aphorism, of course. It was supposedly occasioned by the Battle of Waterloo, when he was buying British securities while the issue was in doubt. He was able to pull off that coup because he made sure that he got the information as to whether Wellington beat Napoleon a day before anybody else did. He recognized that Europe was in a period of tremendous crisis; Napoleon, after all, was actually kind of a proto-Hitler. If we lived in a completely free-market world—one without government interventions like taxes, regulations, inflation, war, persecutions, and the like—it would be impossible to speculate, in the sense I'm using the word. But we don't live in a free-market world, so there are lots of good, speculative opportunities that, in effect, let you turn a lemon into lemonade. And a good speculative opportunity is both high potential and low risk—not high potential and high risk. Most people don't understand that. Nick: That brings to mind the Russian oligarchs, who became oligarchs in the first place because they did some crisis investing, i.e., they bought when the blood was in the streets and picked up some of the crown jewels of the Russian economy for literally pennies on the dollar. Are similar opportunities a possibility today in other countries? Doug: It's interesting with the oligarchs because in the Soviet Union, everybody got certificates, which were traded for shares in businesses that were being privatized. The average person had no idea what they were or how to value them. The people who became oligarchs were able to buy them up for a couple of pennies on the dollar, taking advantage of the negative public hysteria following the collapse of the Soviet Union. So this is a recurring theme—buying when the blood is in the streets. It's what speculation is all about: namely, taking advantage of politically caused distortions in the marketplace, or taking advantage of the aberrations of mass psychology. Nick: Exactly—and that was the main reason why you and I were recently in Cyprus. We were there to see if that recent crisis presented a contrarian opportunity. We all know what happened with the bank deposit confiscations and the capital controls, and most people would think you'd have to be crazy to put money into such an environment. Tell us how Cyprus fits into the theme of crisis investing. Doug: What drew my attention to it was the fact that the Cyprus stock market is down 98% from its all-time high in October 2007. That's like a bell ringing at the bottom of the market. So I thought it was critical to go and get boots on the ground to see what the story really was. It's down about as much as any market index has been in history, which makes it a unique opportunity. In any case, it was worth seeing whether or not it's really only worth 2% of what it was at its peak. I'm not saying that we are absolutely at the bottom. I'm just saying that now is the time to pay close attention because when any market is down 90%, you're obligated to go and investigate. Whether you buy when it is down 98% or you wait for it to be down 99%—which amounts to another 50% drop—is perhaps like looking a gift horse in the mouth. Nick: Let's talk about the intrinsic value of Cyprus throughout history that comes from its geography—being at the crossroads of Asia, the Middle East, Africa, and Europe. Does the collapse in the paper Ponzi scheme banking system diminish Cyprus's natural value, or do you think it creates some interesting speculative opportunities? Doug: Cyprus not only presents a tremendous speculative opportunity, but it is also quite instructive. The banking sector there got quite out of control; it's similar to what has happened to the banking sector in other countries, like Iceland and Ireland in the recent past. But it's also predictive of what's very likely going to happen to larger banking systems in the near future. Essentially, Cyprus became a favorite place for people of many nationalities—particularly, Russians—to put money that they wanted to diversify offshore. The banks became overwhelmed with large amounts of money that dwarfed their capital. When a bank takes money in, it's got to find something to do with that money, and when the local economy couldn't absorb much of it, they became quite reckless. Since most Cypriots are Greek-speakers, they naturally looked to Athens and wound up buying a lot of Greek government bonds, partly for patriotic reasons and partly because the yields were higher than elsewhere. Once the Greek government bonds went south, it wiped out the capital base of the Cypriot banks that had purchased them. The Cypriot government was not in a financial position to bail them out, so instead they had what is called a bail-in, where large depositors took a haircut. Nick: So, what kinds of speculative opportunities have been created from this crisis? Doug: In all chaotic situations, in all true crisis situations, the baby gets thrown out with the bathwater. Everybody has decided that they don't want to have anything to do with a stock market whose index is down 98%. But the fact of the matter is that there are sound, productive, and well-run businesses that are listed on the Cyprus Stock Exchange that got caught up in the maelstrom. There are businesses that will continue to produce earnings and pay dividends. The country has some unique advantages going for it. Cyprus is a place where Warren Buffett would be looking if the market weren't so tiny. It's also quite illiquid now because most people who needed to sell have already done so, but almost everybody is still too afraid to buy. That said, I think it's time to start edging in. We also looked at opportunities the crisis has created in the real estate market. Nick: We should be clear that we are not necessarily talking about investing here. This is a long-term speculation. Can you elaborate on the differences? Doug: I think it is critical to use words accurately and precisely, so that we know exactly what we are talking about. “Investing” is about allocating capital so that it can be used productively and produce more capital. “Speculating” is different. As I said before, speculating is about capitalizing on politically caused distortions in the marketplace. One way this is pertinent to Cyprus is the fact that this is the first time the bail-in model was used and a government didn't step in to make depositors whole. That wiped out billions of euros and depressed the prices of financial assets. People often confuse speculators with traders, who try to scalp a couple of basis points over a short period of time. What we are doing with Cyprus is not a trade. This is a speculation, and a good speculation can take a considerable amount of time to work itself out. Nick: In order to take advantage of these opportunities and speculate on this market, one realistically needs to have a Cypriot brokerage account. It's a testament to the chilling effects of FATCA and other US regulations that the vast majority of financial institutions in Cyprus, which are extremely desperate for cash, won't even consider dealing with American citizens. And if Cypriot financial institutions won't deal with American clients, who will? Do you think the chilling effects of FATCA really amount to de facto capital controls for Americans? Doug: Yes. US citizens have had draconian reporting requirements on what they do with their money abroad for years. But the new FATCA law has taken it to a new level. Essentially, what it does is impose severe compliance burdens on foreign financial institutions that take an American client. It really makes the foreign banks, brokers, and other financial institutions unpaid employees of the US government. This is expensive, legally onerous, and actually ethically questionable as far as their relationship with their clients. So, for this reason, there are very few non-US financial institutions anywhere that are still willing to take US customers. It's increasingly hard, and in some cases impossible, for an American now to get money out of the country, simply because nobody is going to take it. I think as the global economic crisis that started in 2007 gets worse—and there is every reason to believe it's going to get worse, since we're just in the eye of the storm at the moment—these regulations will become even more onerous, and are likely to spread from the US to other countries. So the takeaway from this is that your most important form of diversification in the world today is not diversification across investment classes—although that's very important. It's political diversification, so that all of your assets aren't under the control of one political entity, one government. The opportunity for contrarians in Cyprus is great, but it's hugely important to analyze and evaluate all of the options. Doug and Nick's recent trip gave them great insights into the real economic situation in Cyprus and the companies located there. After getting their boots on the ground, Doug and Nick found quite a few pigs with copious amounts of lipstick applied… and a few shining gems, too—quality Cypriot stocks trading for tremendous crisis-driven bargains. You don't need to take a trip to Cyprus yourself to get the lay of the land. Doug and Nick have written a special report titled Crisis Investing in Cyprus detailing their trip and offering the top investment picks they found on the Cyprus Stock Exchange. In it, you'll find detailed information of the best way to access these amazing opportunities from your living room, the real story on the ground, and much more. The two of them also found a solution to the brokerage dilemma—they investigated every single brokerage on the island and found one willing to open accounts for American citizens remotely and without the need to visit the country. All the details and on-the-ground contacts are in their report, which shows you exactly how to access the opportunities on the Cyprus Stock Exchange from your computer. Crisis Investing in Cyprus is a crucial tool for taking the destructive actions of a desperate government and turning them on their head… and to your advantage. For a limited time, you can get the report with a savings of 50% off the retail price of $199. 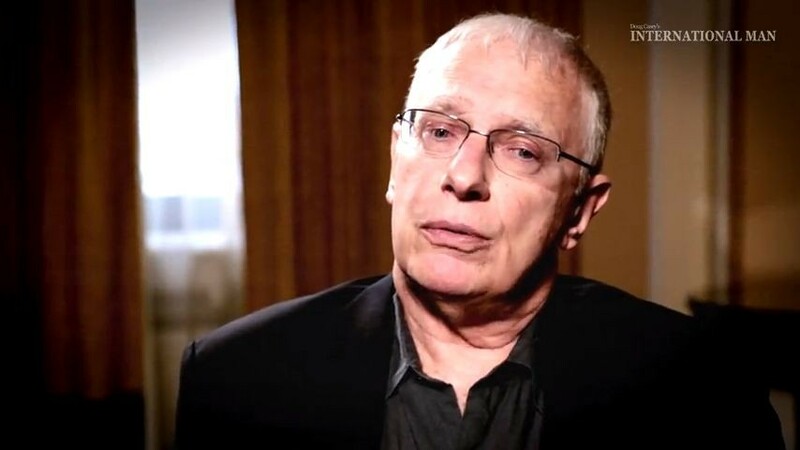 That's just $99 for a huge speculative opportunity, penned by Doug Casey—the man who literally wrote the book on crisis investing. To get in on these opportunities, act now before the price discount is no longer offered. Click here for more details.